After the first world war – known then simply as the Great War, few could imagine that it would be followed by another world war – and that they would come to be designated by numbers – WWI and WWII. It was a terrifying time and Pearl Harbor brought the nation together – united to fight tyranny. So it was that on December 16, 1941 President Roosevelt summoned Byron Price [W1912] to the White House and named him “Censor of the United States”. Price is the subject of this fall’s archives exhibit on the main floor of the Lilly Library. I have written elsewhere about Price and his one simple rule in regards to censorship so I would like to focus a bit more on the man in this post. Price was a Hoosier farm boy, born and raised in Topeka, Indiana. 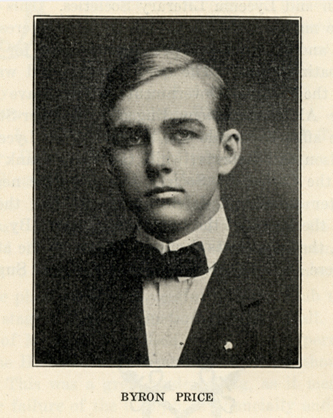 He attended Wabash College, pledged the Phi Delta Theta fraternity and was very active as a student. 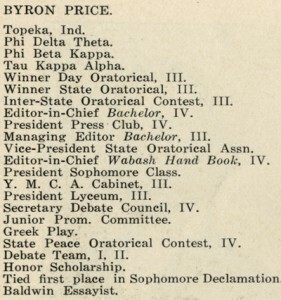 As we see in this listing from the 1912 Wabash Magazine. What this entry does not mention is that in addition to these on campus activities, Price was also a stringer for the Indianapolis Star AND each morning got up and delivered his Star paper route! 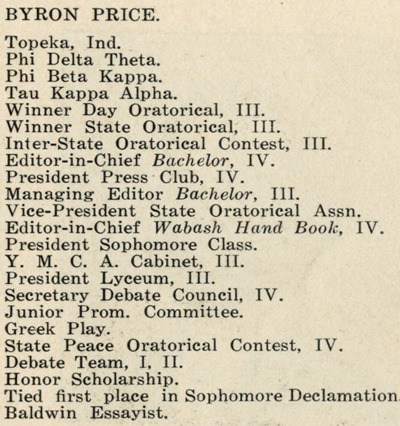 So Price was young, competent and energetic as he earned Pri Beta Kappa honors and set off in the news business. He became a reporter for the Associated Press, landing in Washington, D.C. He fought in France in WWI and received a citation for his service. 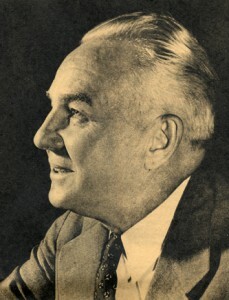 By 1919 he was back in Washington and by 1922 he was promoted to the Washington Bureau of the Associated Press as editor. In 1927 he was again promoted to chief of the bureau. Ten years later Price was named executive editor of the entire AP! In this position Price oversaw all of the daily news reports – totaling roughly 250,000 words. Image from NYT Magazine of Aug. 16, 1942. Price worked hard during the war – for his hard work he received a special Pulitzer Prize, the presidential Medal for Merit from Harry Truman and was named an honorary Knight Commander of the Order of the British Empire. He resigned his position and closed the Office of the Censor as the war ended. His next assignment was as Truman’s “Personal Representative” in Europe. In 1947 Price was made Assistant Secretary General of the United Nations. He oversaw the building of and the move into the UN headquarters that we all know so well. Price retired in 1954 and with his wife of 34 years, Priscilla Alden Price (they had no children) eventually moved to North Carolina. Price died in 1981 at the age of 90 having lived a good full life. 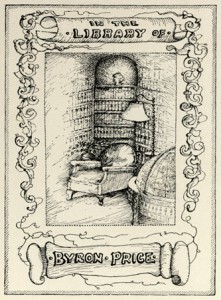 Price’s abiding passion was his private book collection, a part of which came to Wabash on his passing. Here is a copy of his own personal book plate. Among the gifts given to Price at the end of WWII was an album of all sorts of Mark Twain memorabilia – including several signed notes from Twain. If you will be on campus this fall, do feel free to look at the Archives display in the Lilly Library. With all of this construction ongoing, I thought it might be fun to have a peek at the field of 1908. This is a picture of the Varsity team from the October 1908 Wabash Magazine. The field is a bit rough and it looks like the team has just about worn out what little grass there might have been. Very different from today’s field and a world away from the field of the future which will be well drained, free from threats of too much rain – or too little.